This is the second part of a two-part post. You can read Part 1 here, where I introduce the context and motivation behind our decision to port our standalone native iOS/Android apps to a unified React Native codebase. As a product team, building a resilient and sustainable product that enables tomorrow’s effort is our top concern. 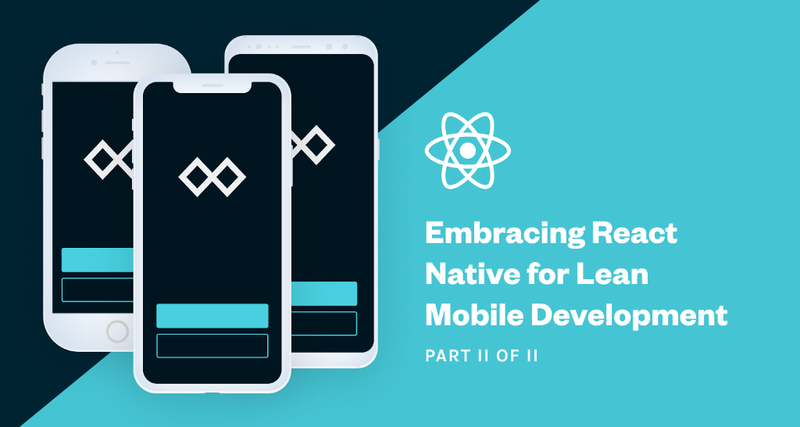 In this section, I’ll dive into each of the criteria with which we evaluated React Native, as well as how React Native solved problems for us along each of these criteria. We were particularly interested in how React was emerging as the lingua franca of user interfaces. Because React Native uses a subset of CSS and Flexbox for styling and layout, it’s trivial for designers to make changes to the layout or styling code. Designers can now directly influence the end-product: instead of designing a picture of the UI, you can design the UI itself. We also saw how React was heavily embraced by the design community in early 2018. Influential voices in digital design were evangelizing it as a way to build maintainable, modular design systems: Jon Gold (Airbnb), Koen Bok (Framer), Sacha Greif (Sidebar), Max Stoiber (Spectrum), and Sarah Drasner (author of “Web Animations”).